Once pregnant, is it safe to lose weight? It is perfectly normal for every woman to weight more as her pregnancy progresses and her body needs to sustain two lives. However, when you can’t seem to stop packing pounds in excess, you may become worried that it’s ruining your health and you may never be able to get rid of it. How much is too much? 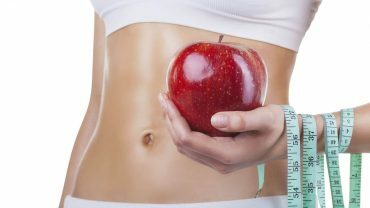 What can you do to maintain a healthy, manageable weight without any risks? 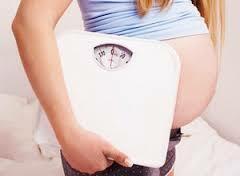 Aim to have a healthy weight for your height and age before you become pregnant, it will be easier and safer. Don’t start your pregnancy overweight or obese. Eat small meals with a higher frequency. Stay active and do physical exercise. Expect to lose some weight naturally with the first semester. Do not engage in any diet that leaves you deprived, but rather focus on diminishing portions while keeping your food varied. Lower your carbohydrate intake while increasing protein. You shouldn’t aim to be skinny at this point. Some women experience nausea and vomiting during the first semester and that leads to weight loss. If that will be the case for you, you will be avoiding weight gain effortlessly, so to speak. You will regain the lost weight with the second semester, though. Each stage comes with different requirements. The other extreme is very risky, too. There are women who indulge in absolutely everything if their body “asks for it”: they give way to all unhealthy cravings and eat until they’re completely full. This can easily add up 40 pounds if you’re pregnant. Many women will actually panic at the thought. After all, you need to weight more, because your body has to feed your baby, too. Keep your goals realistic and forget about your image concerns. It’s not good to be skinny at this point (unless that’s your natural way to be), nor is it safe to pack on pounds excessively. Always consult with a doctor, because your view of yourself may happen to be distorted. Also, losing weight dramatically and through drastic measures (dieting, starving, deprivation) can be very dangerous. It can actually lead to pregnancy loss. Too much weight can lead to birth complications, including premature birth. Excessive fat weighs down the organs and slows down their function. It’s a well known fact that this affects the liver for example, slowing down the metabolism and rendering it unable to perform its usual functions. Losing weight will also prevent preeclampsia and gestational diabetes. If your doctor tells you there’s too much fat, then you should begin to implement safe solutions for losing the extra weight. What you need to aim for is balance. Thus, you should begin to make smart food choices. When your starting BMI is between 25 and 30: it’s safe to gain between 15 and 25 pounds for the whole duration of your pregnancy. For a BMI that is 30 or higher: gain between 10 and 20 pounds, no more than that. The easiest thing you can do is to improve your nutrition by taking prenatal vitamins, which have the right blend of nutrients in ideal quantities for pregnant women. Eat healthy snack bars and increase your fresh fruit and vegetable intake. Also, eat so that your blood sugar levels don’t fluctuate too much to generate sugar and carbs cravings. Remember to include protein and fiber. Good fats are great for you, so don’t forget these. A fine example of healthy snack is peanut butter: it’s delicious and loaded with protein and good fats. Greek yogurt is also excellent. However, if your body craves for a specific food (which is normal during pregnancy), listen to it. You’re not expected to say no to everything. There are certain nutrients you may be missing and the body is instinctively telling you to get those. Choose whole grains whenever you need to eat bread or pasta. Drink 10 large glasses of water every day. Aim that your workouts have a minimal impact (no high intensity training and only light to moderate aerobics). Walking is the easiest and most important exercise you can do. Next come yoga, stretching and dancing. Remember to constantly do some cardiovascular workouts or cardio, which are vital for your heart, blood circulation and lungs/breathing. You can use dumbbells to train your biceps and triceps, which won’t add any pressure to your core. It’s best to limit your weight lifting to that. Swimming is also good for you. Avoid exhausting yourself – 30 minutes of physical activity per day are enough. Staying active will have a positive impact on your overall health and that of your baby, too. Besides, it’s a very healthy way to keep your weight gain under control. Contact sports like soccer or basketball, plus horseback riding, watersports, gymnastics and skiing are considered high risk. If you’re the cycling type, you may use a stationery bike. Remember to wear the right clothes that let you breathe and move freely, without restrictions. Losing weight during pregnancy is only recommended under the strict supervision of a doctor and only through safe methods, otherwise it can be hazardous. Not every woman should attempt this – the starting weight, as well as lifestyle and eating habits matter a lot in this journey. Do not attempt to give a verdict all by yourself. What you may consider to be fat can be deemed as normal and healthy by a doctor. If you do have to lose weight during pregnancy, then favor the safe, recommended methods – exercise and clean nutritious food – skipping the pills and dieting.